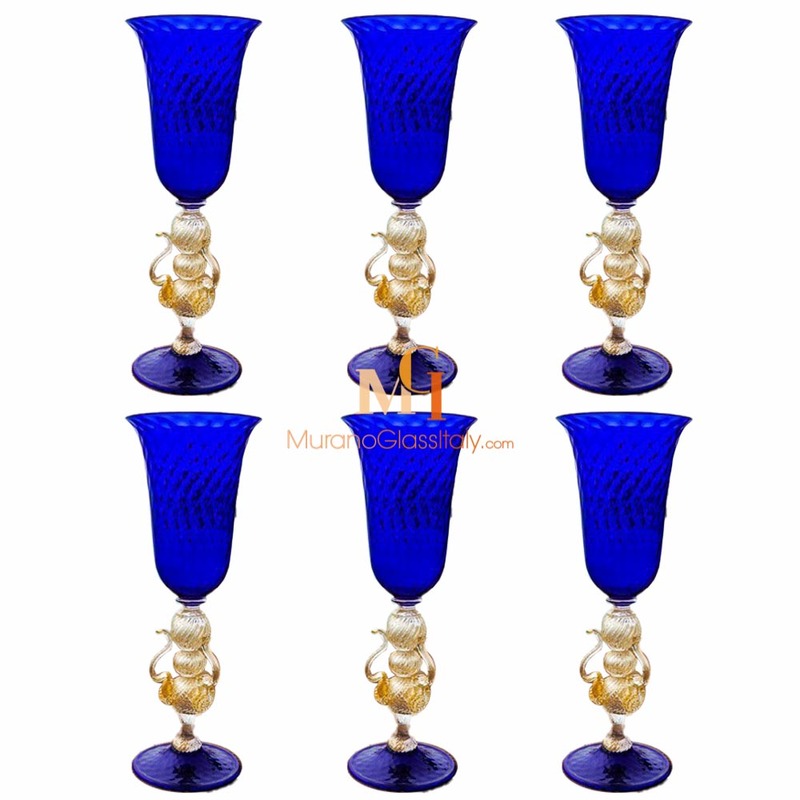 The magnificent Venetian Glass Stemware Collection includes 100% mouth-blown gorgeous masterpieces. 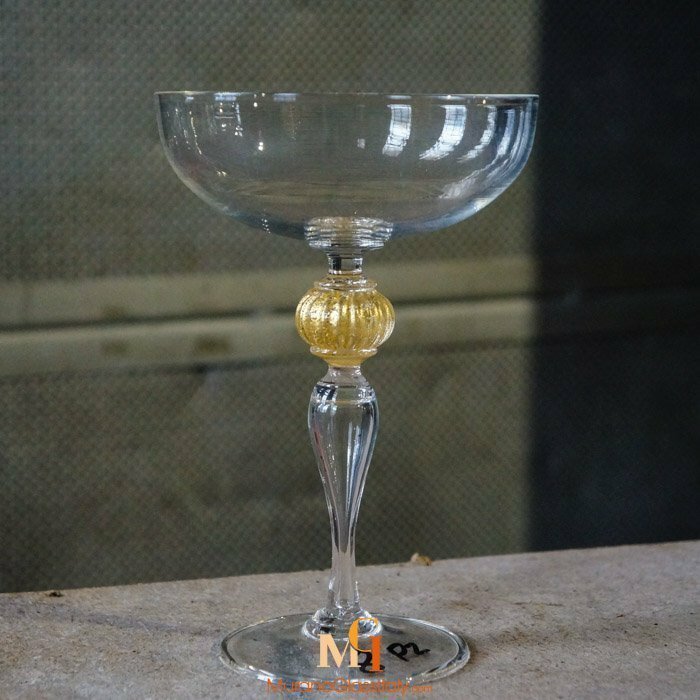 Created from the highest quality of pure Venetian crystal glass with stunning 24 karat gold details. 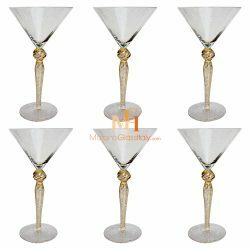 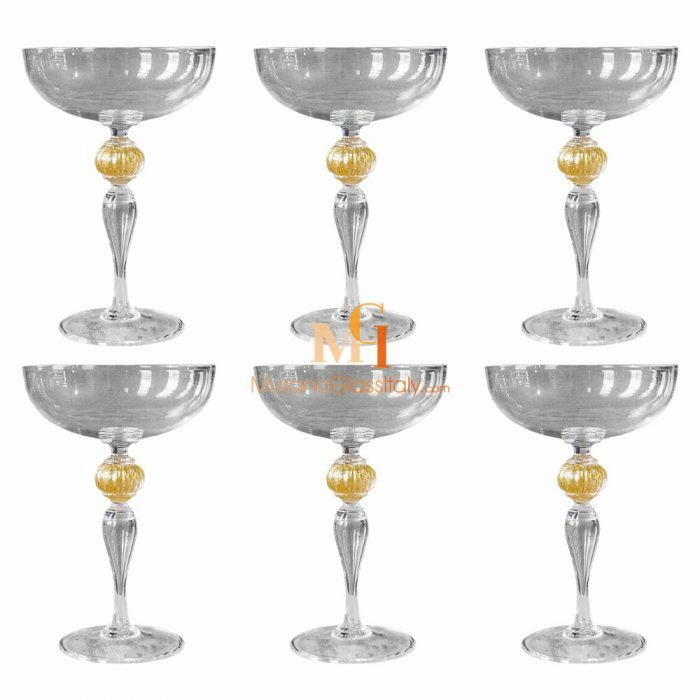 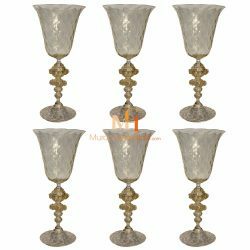 The glassware features a perfectly round base with a long stem adorned by a golden centerpiece. 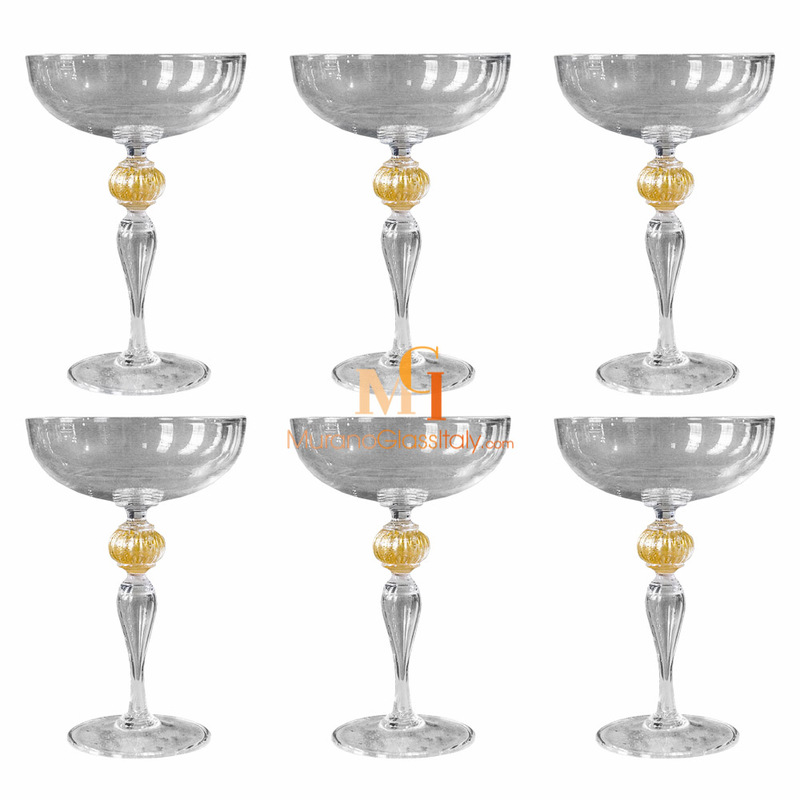 Complement your dining table with a perfect set of glasses. 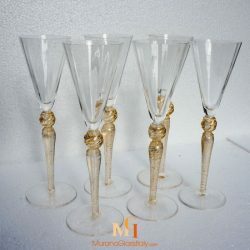 Display them alongside your favorite glassware to set the tone at your next dinner party or present the set as a gift to your loved one.